The following are a series of excerpts from Mary Pickford’s 1955 autobiography “Sunshine & Shadow”, unless otherwise noted. “It wasn’t long after Father’s death that Mother decided to rent the master bedroom, as there was plenty of space in that large house for the family. One day a well-dressed man applied for the vacant room. Up to then the room had been occupied only by women. But this man explained that he was married and he was sure Mother would like his wife. The pros and cons of the situation were warmly debated by Mother, Aunt Lizzie, and Grandma. They finally agreed that renting the room under these circumstances would be quite respectable — a decision which was probably the greatest turning point in my life. The man in question was the stage manager of the Cummings Stock Company of Toronto. One day, about two weeks after the couple were installed, the man asked Mother if he could have a moment with her. “Mrs. Smith,” he began, “you have read the papers that I’m producing a play called The Silver King. “I believe I have”. “Well would you consider letting your two little girls appear in a schoolroom scene?” Mother was highly indignant. “I’m sorry, ” she said, “but I will never allow my innocent babies to associate with actresses who smoke.” “I respect your misgivings, Mrs. Smith, ” the man said, “but will you do me a favor before you make a final decision?” “It’s completely out of the question. The thought of those infants making a spectacle of themselves on a public stage! ….” “This is all I ask, Mrs. Smith. Come backstage with us tonight. I assure you that professional people are no different from any others. They are good, bad, and indifferent like the rest of the world. This happens to be a very happy and respectable group of actors and actresses who have been together a long time.” Mother made the daring trip backstage that night and was evidently impressed by the behavior of the people in the company. The result of that tour of inspection was that Lottie and I made our debut in the theater in a play called The Silver King. Gladys Smith debuts in "The Silver King"
I played two parts. In the first act I was a villainous little girl who was mean to Cissy Denver, the Silver King’s daughter. My opening line on stage was: “Don’t speak to her girls; her father killed a man!” — a statement accompanied by a smart stamp of the foot, in which I had been very meticulously coached. My sister Lottie’s function in the play was just as elaborate, but without words. Hers was the kindly gesture of handing Cissy a stick of peppermint candy and giving her a pat on the back. In the last act I played Cissy’s brother, Ned Denver, a part without lines in which I was supposed to sit very quietly on stage while my father, the “Silver King”, had a secret conversation with his wife. I had been carefully instructed to play with a set of wooden blocks and a toy horse and make myself as inconspicuous as possible. Instead I built the blocks into a giant pyramid and ran the toy horse into them. The “Denver’s” were startled by my sudden improvisation, and the audience must have laughed more at the expressions on their faces than at me. When the final curtain fell, the stage manager came up to me and said, “You were a very smart little girl to think of that piece of business.” “Thank you sir,” I said. “You got yourself the biggest laugh of the evening.” “Thank you sir,” I repeated, beginning to feel that I was a very great actress indeed. “Yes, you were very clever tonight,” he went on, pitching his voice to a grave tone,” “but don’t ever steal a scene from a fellow actor again. “Oh, I would never do that sir!” “Do you realize you spoiled the speeches of the Silver King and his wife?” “No sir.” “… that the audience didn’t hear what they had to say? That so long as you stay in the theater you must never draw attention away from the main action?” “Yes sir,” I said, feeling very deflated. “But I’m going to do something irregular, Gladys,” said the stage manager.” “I’m going to let you keep that little piece of ‘business’ in.” And he told me the spot where I could get my laugh without interfering with the other players. That was my first lecture in the good manners and ethics of the theater. I was only five years old, but the lesson sank in and I don’t think I ever forgot it. To this day I don’t like a scene stealer, even when it is myself. Shortly after the Cummings Stock Company moved on to fresh pastures, I was given a role in a variety show – a small, silent, and sleeping role in a one-act play entitled, The Littlest Girl. My performance consisted of being carried on the stage and passed from the arms of one actor into the lap of another. 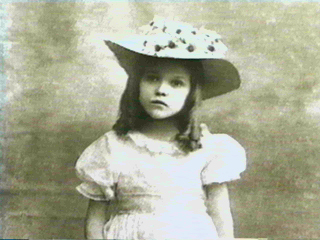 On the same variety bill was a young girl named Elsie Janis. Mother whispered to me in awe that they were paying this girl the unbelievable salary of seventy-five dollars a week. My own salary was fifteen dollars a week. Elsie’s repertory included a magnificent imitation of Edna May and another of Anna Held, in brilliant diamonds, knee-length dress, and a white, diamond studded staff. Mother and I were simply dazzled as Elsie sang. “Oh I just can’t make my eyes behave!” Mother, not wanting to miss so rare an opportunity, took my hand and went in to consult Elsie’s Mother as to how one went about preparing for so brilliant a career as her daughter’s. “Take her to see the finest plays and artists, ” said Mrs. Janis. “But she must never imitate anyone, other than to be a mimic. In anything else, first and above all, let her be herself.” That advice served me well in the years that followed. Elsie and I later became and remained good friends and so did our mothers. Gladys Smith as "The Littlest Girl"
Mother, needless to say, had become quite stage-minded by now, and when she read that a new group, the Valentine Stock Company, was going to put on The Silver King, she finished her day’s work and put me into my Sunday best. “We’re going down to see whether they’ll take you for the same parts again, darling. I had thoughts of my own at that moment, but I said nothing. 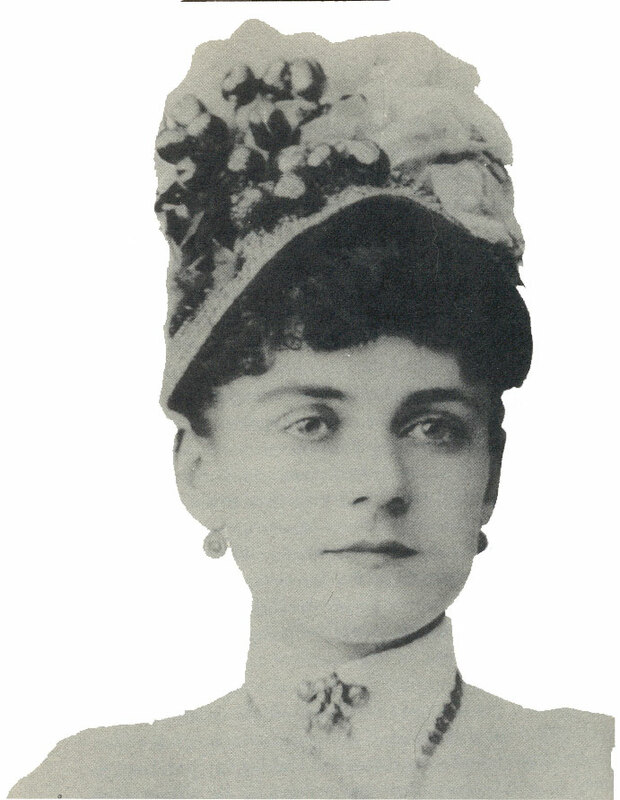 While we were being interviewed by Miss Anne Blanke, head of the company, much to Mother’s mortification, I suddenly spoke up and said: “I want to play Cissy Denver.” To Mother’s astonishment Miss Blanke said: “I don’t see any reason why you shouldn’t.” “But Miss Blanke,” interrupted Mother. “She can’t read, and it’s a long part.” Recognizing a friend and a kindred soul, I went over to Miss Blanke and I put my hand in hers and looked up into her face: “Please lady, let me try.” This melted my mother. “Well,” she said, “there can’t be any harm in trying. We’ll begin working on it tonight but I know she can’t remember such a long role.” I had made up my mind that I could and would, and I just had to prove it to Mother. The moment we left the theater and were outside under the lamppost waiting for the streetcar, we set to work. Mother read the lines and cues to me and I repeated them. We were still studying when the streetcar arrived and we continued all the way home. Before I went to bed that night I knew the entire first act by heart. There was another reason I was so determined to play the role of Cissy Denver. Before our interview with Miss Blanke I had been taken to the matinees of the Valintine Stock Company. I was so little I would sit on my mother’s, my Aunt Lizzie’s or my cousin’s lap, which enabled me to look over the heads of people in front and saved the price of an extra seat. The Silver King was going to be played by a very attractive man named Jack Webster, and the truth of the matter is that I had fallen in love with him. That was all in the back of my mind when I asked for the part of Cissy Denver – Webster was to be my father in the play. If I inherited a love of the stage, it must have been from my Irish grandfather. Mother often told me how long before I was born this jovial Hennessey would stand outside the theater waiting to be the first to enter. One night he persuaded Grandma Hennessey to go along with him. They were seated when a fire wagon went clanging past. Convinced that her house was on fire and that her children were already being consumed by the flames, Grandma rushed from the theater, and with a very irate Grandpa Hennessey in her wake hurried home to find house and family completely unscathed. That was enough theater for Grandma. “Never again,” she announced, ” will I pay good money to make a fool of myself watching other people making fools of themselves”. “During many of my illnesses we had Dr. G.B. Smith, who was head of the Children’s Hospital of Toronto. I believe Mother later estimated that this man, who was known as “Little G. B.,” had saved my life four times. I remember I wasn’t yet seven when I became terribly anemic after one of my attacks. I would lie down on the floor and go to sleep wherever I happened to be. When Mother noticed I was having night-sweats she took me to the clinic. God bless those clinics! I’ve always been so appreciative of the privilege of going there – because it was there they discovered I had a spot on my lung. They told Mother that if she had let it go a little longer, it might have been too late. Medicine was prescribed, and Mother saw to it that I also got the special food that Dr. Smith recommended. It wasn’t long before I had fully recovered. One day Dr. Smith came to see Mother. He began by reminding her that he and his wife were childless; that for some time now they had been thinking the matter over and had finally come to a decision. Would Mother consent to their adopting me? They would give me every advantage beyond Mother’s reach, and since their name was Smith too there wouldn’t be any need of changing mine. Mother politely but firmly and promptly refused. “I couldn’t think of it Dr. Smith,” she said. Later she reported the whole thing to Aunt Lizzie, who lashed out at her. “You have no right to stand in her way. All my life I have regretted that our mother and father didn’t allow me to go to that rich couple who wanted to adopt me.” So Mother dressed me up in my best bib and tucker and took me to Dr. Smith’s house. On the streetcar and during the short walk to the dotor’s house I noticed that Mother, usually very talkative, was pale and silent. The house was large, comfortable, and extremely well furnished. I was shown the pretty little bedroom that was to become mine. “You can have anything you want, Gladys, ” said Dr. and Mrs. Smith. Mother was kneeling down in the grass in front of me to look me straight in the eyes. The sidewalk was lined with shady trees, beautiful big chestnut trees, and she went on explaining how I wouldn’t be her little girl any more, but Dr. Smith’s…I felt a terror clutching at my heart. I stopped her. “I don’t want to be Dr. Smith’s little girl and I don’t line ponies and I want to go home with you, Mama!” And Mother took out a handkerchief and wiped away my tears and hers, and with a very determined set of her shoulders she said: “That’s the end of that, and I’m certainly going to tell your Aunt Lizzie a thing or two. There will be no more of this nonsense. If you only knew how my mother loved me. You see, as a baby, I looked like my daddy. In later years she told me that when the pain of losing my father was too great for her, she would put me on the table and study my face, my features being so much like his. A determination was born in me the day of our visit to Dr. Smith that nothing could could crush: I must try to take my father’s place in some mysterious way, and prevent anything from breaking up my family. There then began a devotion for my mother that the passing years only made stronger and deeper. In years to come we were to be known as the Four Musketeers – Mother, my sister Lottie, my brother Jack, and myself. When the money began to come in, we had one pocketbook for it, and Mother remained the custodian to the end. I don’t believe I was more than five years old when I became Mother’s deputy, a kind of little mother. Bringing up Johnny and Chuckie was a very serious business to me. The thought of the two of them plaing in the street with dirty hands and faces would distress me. I can’t recall the number of times I chased them back into the house to tidy them up. 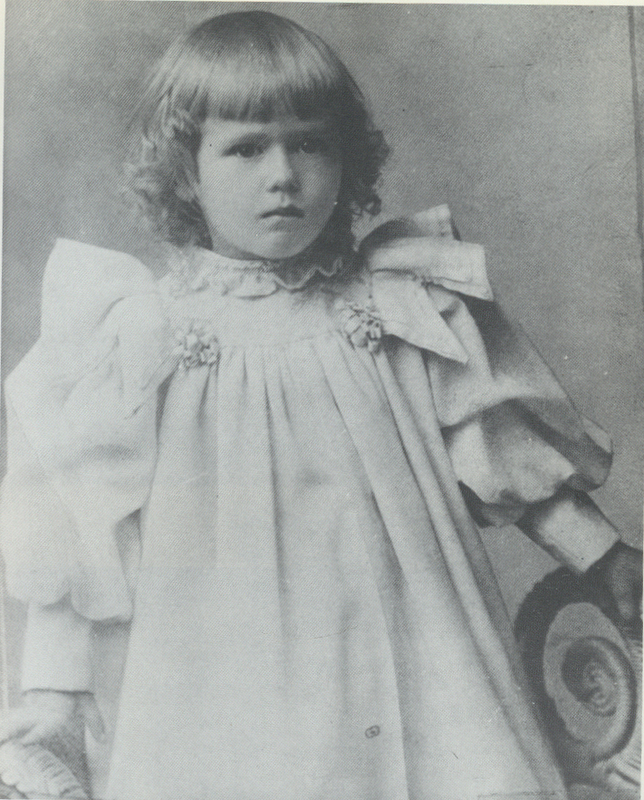 Mary Pickford at an early age. “I took the name by which I have long been known to the public from my Irish grandfather, John Pickford Hennessey, who came of a comparatively rich family from Tralee, County Kerry, in the south of Ireland. My grandmother was also born in Tralee, but she was a miller’s daughter and very poor. Had the two of them remained in Ireland they would never have met; they moved in entirely different social worlds. They met in Quebec, Canada, fell instantly in love, and were married. When my great-grandmother received the news of their marriage, she disowned her son and vowed never to speak to him again. This vow she kept till the day she died. It was she who bequeathed the name of “Pickford” to my grandfather. I know positively that I would not have been in the theater if father had lived. For one thing, we would probably all have remained in Toronto. Father was a very charming man, handsome, lovable, with curly golden-brown hair, and graceful, delicate hands that must have been destined for better things. To make some extra money, Father worked all night in a local theater, pulling up scenery until he got big blisters on those graceful hands of his. Mother told me this later; I don’t remember it myself. But I do remember the first money he gave me: he was standing beside me telling me to open my hands, and into them he put the seventy-five cents he had earned that night. Seventy-five cents then was probably worth more than five dollars today. Of course I gave it to Mother, but with a sense of pride. Another recollection of the early lure of money was the time my sister Lottie dropped a Canadian five-cent silver piece between the keys of Mother’s beloved upright piano. The thought of this buried treasure tormented me so that I was determined to break all the keys to retrieve the priceless coin. Grandma caught me going from the kitchen to the “parlor”, a look of high resolve on my face and a hammer in my hand. Whenever I got a penny, at the age of five or six, I would go to the florist and buy myself a rosebud, which I took home and carefully tended. One day, after making my purchase, I pointed to a full-blown rose that seemed to be falling, and asked the florist, “May I have that rose, if you don’t want it any more?” The florist gave it to me, for nothing, and that became quite a ritual: my rosebud for a penny, and a fading rose for the asking. After repeating this performance three or four times the florist asked me one day what I did with the rose that he no longer wanted. “I eat it,” I told him. And that was the simple truth. It had tasted very bitter at first, but I thought that if I were to eat it, the beauty and the color and the perfume would somehow get inside me. 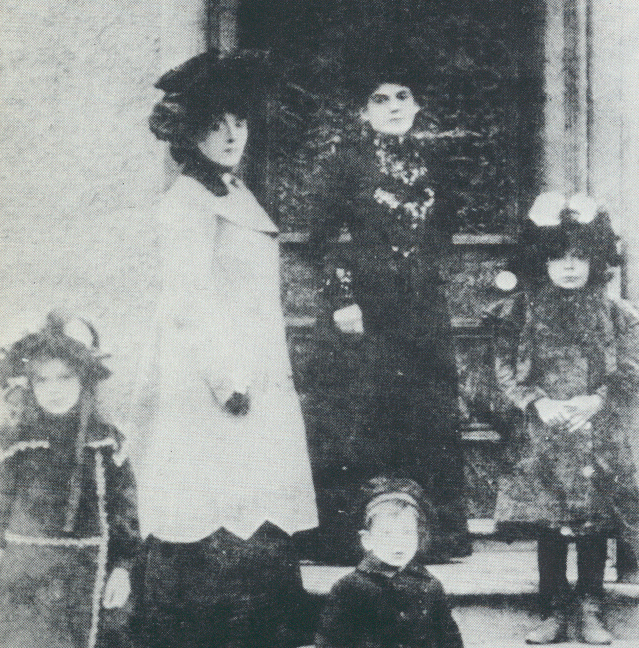 Mother was still in her middle twenties when she became Charlotte Smith a widow with three baby children and Grandma Hennessey, an invalid to support. My father worked as a purser on the steamship line that runs from Toronto to Lewiston near Niagara Falls. One day he bounded down the stairs to the deck below, not noticing a pulley dangling overhead. It struck him a fearful blow, causing a blot clot in his brain. Small as our resources were, Mother sent to what we called “the States” for the best doctors. They tried everything they knew at that time to dissolve the clot, but without success. I can close my eyes now and hear that scream of Mother’s at the moment my father passed on. And I can still see myself climbing out of bed and going down the hall and looking in the door. I was the first to arrive on the scene, and I shall never forget the sickening sense of horror that swept through me. There was mother Mother shrieking hysterically and beating he head against the wall. She had long, thick, silken hair that fell down past her waist. It was streaming over her face, which had been cut apparently as she hit her head against the wall in her grief; her dressing gown was covered with blood. Through the streaming hair I could see the wild look on Mother’s face. But in all her sobbing she never noticed that I was standing in the doorway. I had not the slightest suspicion of what had happened. I gazed at my father lying in his bed and I thought he was sleeping. Finally Mother’s sister Lizzie heard the pounding and screaming, dashed up the stairs from the floor below, glanced into the bedroom and was startled to find me standing there, petrified with fear. Snatching me up hurriedly, she took me back into her bedroom and rocked me to sleep in her arms. The rest of the family went to Mother’s rescue. The next thing I knew it was early morning. As aunt Lizzie carried me down to breakfast, she turned my head away from Father’s bedroom. And at that moment somehow I knew what had happened. I refused to eat my breakfast, jumped down from my chair and, crying hysterically for “my papa”, wedged myself between the serving table and the wall of the dining room. Most dreadful of all was the day they lifted me up to kiss my father good-by. What a barbarous practice to inflict on children! Yet, as I looked, I remember telling myself that I must photograph his features in my mind. Father had been such a handsome man and Mother adored him.